Do you feel like you wasted time today? Matt Loberstein, the owner of a 7-figure Amazon e-commerce business, explains how you’re wasting precious business hours every day as you try to personally manage every aspect of your business. Without hiring help, it’s easy to flounder under the weight of paperwork, customer service, social media marketing, logistics, sales… the list goes on. But help is expensive, and competent help can be hard to hire. Matt has the solution: “Leverage.” Leverage in the form of Filipino virtual workers. Outsourcing other tasks to Filipino VAs allowed Matt to focus on the core operations of his business. Matt’s been working with Filipino virtual workers for a year and a half. He’s witnessed first-hand how adding affordable team-members to your workforce creates growth and freedom. By delegating customer service and graphic design tasks to his Filipino worker, Matt found freedom to become the CEO and expand his business. He explains how Filipino virtual workers can relieve you of the mundane daily tasks that feed on your creativity and productivity as a business owner. But that’s not all they can do. 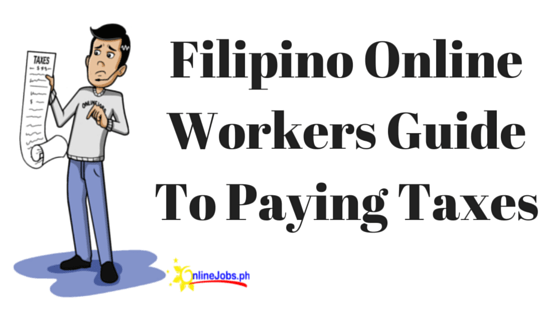 Filipino workers are not stagnant, and they can perform much more than basic tasks! You can use virtual workers with specialized skill sets to “leverage” and “elevate” your business. Bring in experts to do the things you don’t know how to do, and implement systems you’ve waited to implement (Matt uses logistics and sales as examples). Matt explains that for a one-time gig, hiring a contractor from Fiverr or Upwork is fine. But your business requires team members, not just contractors. For long-term Filipino workers, Matt hires with OnlineJobs.ph. Filipino virtual workers found on OnlineJobs.ph are long-term team members. And because they’ll be with your business for a long time, you can gradually teach them about and trust them with more aspects of your business. Filipino virtual workers are a solid investment, whether you’re hiring a worker to take time-wasting tasks off of your plate OR to specialize in a system that will elevate your business. And they can do just about anything! Get leverage like Matt did! So let’s talk about VAs. Virtual Assistant. I get a lot of questions about this. What does my VA do for me? Where can you hire a virtual assistant? What could they do for your business? So let’s talk about it. First off, if you’re new here, my name is Matt Loberstein. I mainly talk in this channel about my 7 figure Amazon ecommerce business. How I’ve gotten to this point over the years. What I am doing as I progress as an entrepreneur as well. So if that sounds interesting to you, make sure you subscribe. Make sure you check out the previous videos. Oh, and also sometimes, I have other random stuff in my videos, like, the car stuff or whatever else I’m interested in. So hopefully like some of that too. So let me start by telling you kind of, like, what my main VA, Francis, who’s editing these videos and much more. Let me tell you what his main, sort of, roles are. So since, actually, let me backup. So he’s been working for me for over a year and a half at this point. And he started off mainly doing customer service in my business. So responding to customer messages and everything else customer service related. Meaning, putting in replacement orders when a customer needs a new product because there was an issue or they need a refund process because they were unhappy for some reason. Also monitoring reviews, responding to negative reviews, responding to negative feedback, getting it removed when possible. All that kind of day-to-day, just a customer satisfaction type of stuff. pop so that it looks really nice. And since he has this background in actual photography also, I will even have set products sent to the Philippines where he will photograph, edit and then upload them where they need to go. So, that was, those were his main roles for the first year or so. Basically customer service, and graphic, and photo. So, anything graphic related, anything customer service related, that was totally on him. Or on you, if you are editing this because that is your newer role; which is now he edits all of these videos. So if you are impressed by, say that car sequence at the beginning, that is an example of what, you know, a skilled virtual assistant video editor could do for you. So, I think there is, like, a kind of a common misconception about virtual assistants; that it’s just kind of like basic tasks. Or, like, you know, just like typing in stuff or very basic things. But the truth is that you can hire people based on any skill set. You can hire people that are way better than you at something and elevate that aspect of your business. For example, I didn’t want to, I mainly didn’t, I think I could be a good editor. But I wasn’t about to drop all that time learning how to and spending five or six hours per video to make them up to the quality that I wanted. So I hired that out. And I took a loss on this YouTube channel at the beginning because I just wanted to make it great. And I want, and I was willing to make that investment. inspiration from and we talked about the aesthetic we wanted. And now he just cranks these out. I just upload my footage, just raw footage. I just hold the camera and then he spits out these beautiful blogs that you guys see and hopefully enjoy. So, to summarize, that, his main roles as of now are editing these videos. 100% of that. Like I don’t touch it. We barely even have to talk about what we do, or do want we’ll run something’s back and forth. Any other graphic things, like, when you see I have, like a, something on my Instagram story that is sort of, like a, “hey there’s a new video go watch it” he makes those. He still manages all the customer service on Amazon. Meaning customer messages, all of the monitoring reviews, everything that I said; which I’ll probably outsource to somebody else to get that off of his plate soon. And still does all the graphic stuff for my physical product brands. If I need a new logo for a new thing, or we need some sort of graphic done, that is his responsibility. next point, which is what can a VA do for you. And the truth is, anything. If you find somebody that is skilled at those things, like, if you needed an Operations Manager, you could find somebody with that experience. If you needed somebody with logistics experience, you could find somebody with that experience. Video editing, photo editing, photographer, just customer service skills, phone skills, maybe even more of a marketing role. Maybe it could be managing your social media accounts like a social media manager. So, it truly is endless. And I think the best way to think about where to hire next is, what are you spending a lot of time on in your day to day as the business owner that you could take off your plate. Or what do you not like doing? What is it not the best use of your time as the entrepreneur when your job should be thinking about growing the business? And, I think, this is an area that I could be much better in myself. I think my team could be much bigger. Hopefully my team gets bigger this year in 2018 because I think I could use VA’s and, or not virtual, maybe local as well. But it’s not just about taking things off your plate, but it can also be about finding leverage points to grow further. So, bringing in somebody that is an expert at something that you’re not an expert in, to take some aspect of your business to the next level. So, you know, for me maybe, that would be hiring a sales specialist to then take my product to wholesale opportunities such as retail stores or other online retailers. Or, you know, X maybe, or maybe international export to retailers in other countries as well. That one might not be a virtual position, but maybe something, like, managing logistics would be. For example, communicating with my freight forwarders about where my product is in terms of its timeline coming across the ocean and sending all the appropriate labels to whoever needs them at the right time. You know, getting those labels from Amazon. Sending them to the freight forwarder. Communicating with the supplier to the freight forwarder. Just, kind of, like, managing all that that it’s absolutely something that you get outsourced. So, while I do think you should start with, what are the things that you’re kind of, wasting your time with. Like, what is not required of you as the business owner. What could you, just, get off your plate. And usually that’s, like, customer service, those types of things. First, kind of, like, repetitive tasks that you could be using your time better than. where businesses truly scale. That is, I mean, and that’s the aspect where I’m by no means an expert, and could be much better. And, hopefully you guys, will see me progressing and growing more of a team around me. But, you know, that is where it becomes bigger than you and you focus on growth. And, you know, getting people in positions with specific roles. So, as far as where to actually hire virtual assistants, some of the resources that you’ll see pop up a lot are Fivver and Upwork. And while I will not say those are terrible services, those are not the ones that I’m going to recommend. I think that those are okay and manageable if you just need one-off tasks. Meaning, there’s just one thing you need done, onetime, absolutely, you can go find somebody on those websites to do it for you. people that thinks, like, you know using this keyword tool instead of that keyword tool is gonna be what makes or breaks your business necessarily. out, you guys know my stuff. But for those of you who are new, I would never put a link to something that I don’t personally use. But I am so serious that this is, like, the legitimate best resource for this if you’re looking for it. So I just want to, like, throw that out there. Before I’m talking about it I do have a link. To use my link I do get a kickback. But, it is truly the resource that you want to use if you’re looking for VA’s, and that is Onlinejobs.ph. Again, I have a link down there. But this site is great and it’s not free. I’ll also say that it’s not free but you can cancel it after you’re done finding someone. So, it’s not like you have to pay for it forever or anything. Just, you know, sign up for it, get what you need out of it. And then if you no longer are hiring, then, you know, stop paying for it and then you’re good. So, and they’ve changed the price recently, so I don’t want to say the wrong price but just check it out. And so, there’s 2 ways you can use it. When you can just browse all of the existing resumes and search through for people that have the skills that you’re looking for. But what I like to do is you can actually post a job offer. Like, as if you’re an employer because you are. So, you can make an outline of exactly what you’re looking for. So, say you’re looking for a video editor, don’t just be, like, looking for video editor. You know, give them examples, like, link them Casey Neistat or Gary Vee. And be, like, I’m looking for something that can do this with this, and this, and this, and here’s my ideas. Boom, boom, boom. Let them know. You know, ultimately, one thing that you need to understand with VA is there are people on the other end. So you just need to communicate and make it clear what you want. And then you’re gonna be flooded with applicants, which is the amazing part of posting a job is then you’ll just get, you know, depending on your position, but you might get a hundred applicants for you to dig through. And then you can, you know, put them through questions or test work or something like that. But I love doing that because then, you just, you know, it’s right in your inbox, and you just get to sift through and figure out who seems to be the best fit for you. Or maybe the few that seem to be the best fit. And you talk to those people and then move forward with narrowing it down. So yeah, definitely, if you’re at all ever going to hire a virtual assistant, definitely Onlinejobs.ph. That’s just the go-to resource for people that are actually going to be on board, on your team, long term. It is a job. I mean that you’re giving them a job that is not just a task, right? So again, task is more like Fiver or Upwork. Onlinejobs.ph is like, ‘hey, I am hiring somebody that I want to stick around’. Like, I think, Francis, and, you know, my Francis has told me like he wants to work for me for a really, really long time, and that’s incredible and that’s awesome. So, you know, that’s the type of stuff that you are looking for, you know. So, that’s why, that’s and, that’s across the board not just me. I mean, don’t just take my word for anything, ever. I mean, you should always be getting multiple opinions but that is the resource. All right guys, this is as many hours later. Just been getting some work done, ate dinner, typical stuff. I’m gonna wrap it up. I hope that was some good insight into VAs, or Virtual Assistants. I hope you guys go out and hire some help for your business. Or get your business to a point where you need things like that. Usually, means things are going pretty well, so I hope that was helpful. multiple people can benefit. So it’s a really a solid thing. You can also check out my Instagram. Follow me there. You can try to shoot me a DM. I do my best to get back. Comments, as well, I’m always doing my best to get back. So that said, that is all. See the next one. If you want a video editor or customer service virtual assistant like what Matt has for his Amazon business, you can search our employee database or sign up for an employer account to post a job. Did you like this story? Then you’ll love to read about how outsourcing made everything better for James and Kimberly.